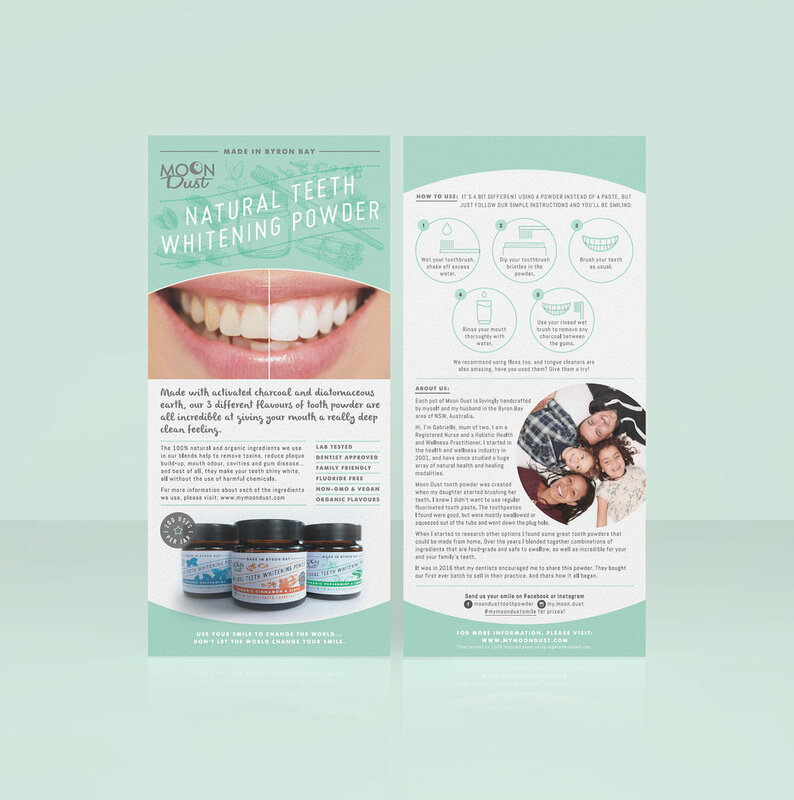 Redesign of product labels, promotional flyer and pull-up banner, for family-owned small business making organic, vegan, teeth whitening powder, in Byron Bay, NSW, Australia. The client was unhappy with her existing label designs, which were not clear enough as to what the product actually was. The new labels needed to look fresh, clean, natural, handmade, giving off an organic look. We made the product name much more obvious, and then created a series of hand-drawn botanical-style illustrations of each of the organic ingredients. 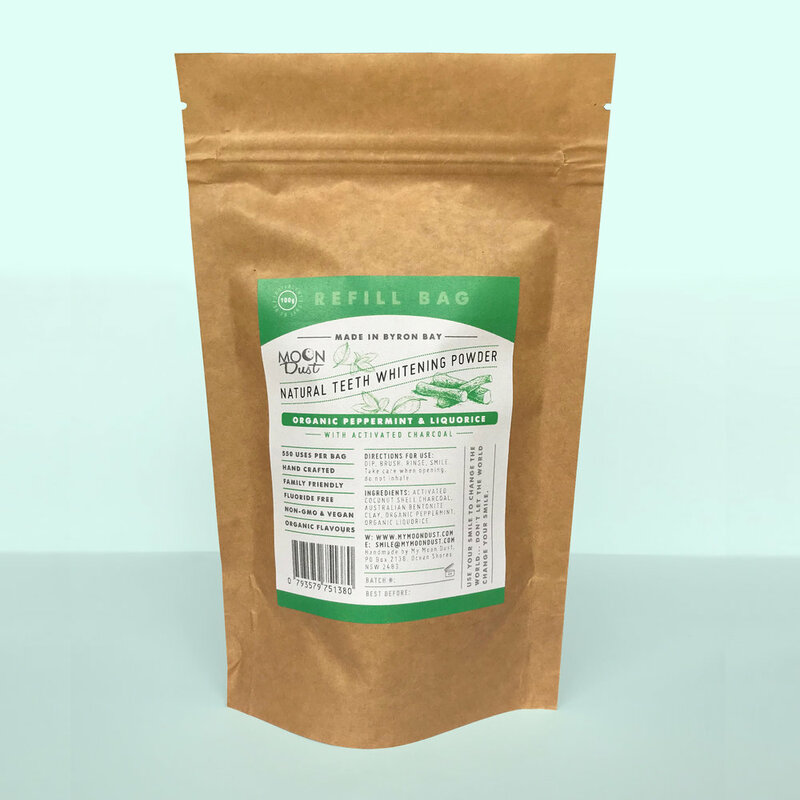 The 'status' of Byron Bay meant that this information was of high importance on the products, and we managed to create clear informative designs with all the necessary information within a very small label size. The DL flyer followed on from this new style, with more hand-drawn icons and printed on textured paper. The pull-up banner is simple and eye-catching, and will be used at trade shows and markets.